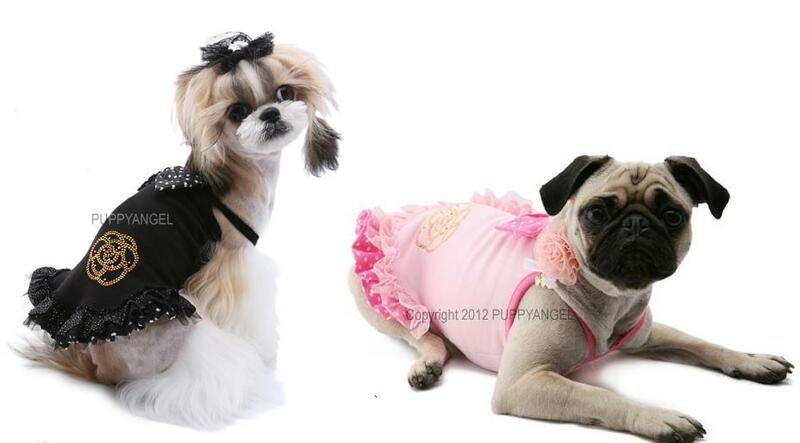 With amazing attention to detail your dog will look pretty as a picture in this Alluring Rosha Dog Dress from Puppy Angel. The dress has cute spaghetti straps with a dotty bow on the bodice. The skirt is layered with chiffon, sparkling dots and the same dotty fabric while the back is encrusted with tiny stones making a rose 'rosha' design on the hip.